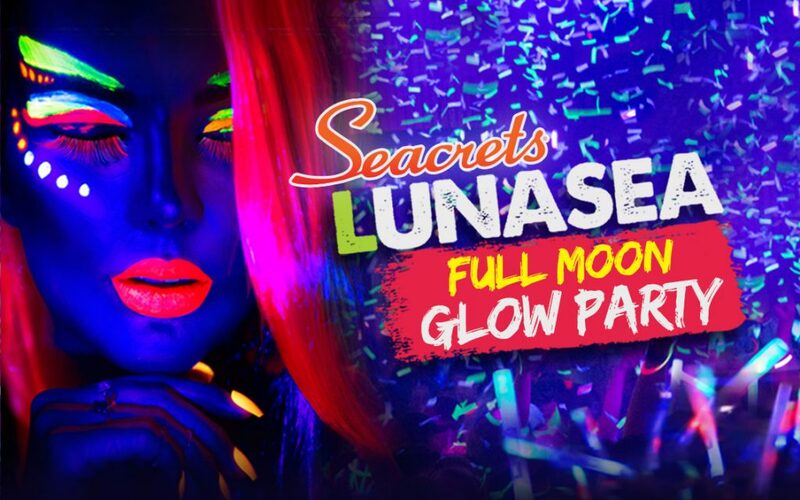 LUNASEA Full Moon Glow Party! When the lights go down, the black lights go up and the party gets crazy! Wear something bright and glow under more than 2000 black lights, drink from glow-in-dark cups and get free glow sticks & necklaces!! Live entertainment featuring Element K, Shake 3X, DJ Tuff and DJ Bobby-O!